Stress is one of the biggest killers in the World today. However, there is no reason why Stress could not be harnessed in a more productive way. Stress is a normal, necessary function of everyday life. There is stress when you must meet a deadline, drive in heavy traffic, or run late for a meeting. Stress is a natural and essential component of human existence, and in moderate doses, stress is even healthy and beneficial for mental and physical functioning. During times of stress our brain pumps specific hormones and neurotransmitters, such as cortisol and adrenaline. These chemicals are associated with the “fight-or-flight” response in our bodies. This might have been useful when facing a sabre tooth tiger – but we don’t need the feelings of hyperstimulation, anxiety and panic, in most every day situations: such as explaining to the accountant about a minor overspend! When these chemicals are released they excite our nervous system, increase our blood pressure, make our heart beat faster and raise blood glucose levels. Our senses sharpen and we receive “a short-term buzz”, according to psychiatrist Dr. Lynne Tan of Montefiore Medical Centre in New York City, in an article on stress and mental health, for American Television. Moderate short-term stress is beneficial because the chemicals released help to strengthen our immune system, improve performance and memory, and encourage positive mood. In all, stress helps us to accept challenges, take risks, and react quickly in an emergency. 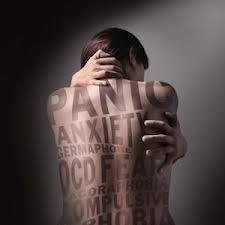 Our bodies create a burst of energy and “we can feel as if we are ready for anything.” However sometimes this can lead to severe and paralysing anxiety, “feeling stressed out” or even a Panic Attack. Stress on the body and brain is necessary for us to react appropriately to situations, however, stress becomes unhealthy when the “fight-or-flight” response becomes overactive and inappropriate. While experiencing high amounts of chronic stress the nervous system continually releases large amounts of hormones. The brain does not get an opportunity to reach a healthy level of homeostasis or mental equilibrium. Thus, the over-activity and excessive stimulation of these hormones, that are supposed to be used for only short-term instances, can kill brain cells, and cause many other unhealthy consequences; such as high blood pressure, muscle tension, mental and physical exhaustion. “Chronic stress affects nearly every system in your body,” Segal explains. People who suffer from chronic stress also experience emotional sensitivity, and other physiological symptoms, such as headache, diarrhoea, nausea, restlessness, loss or increase of appetite. Chronic Stress can also “suppress the immune system, increase the risk of heart attack and stroke, contribute to infertility, and speed up the ageing process. Long-term stress can even rewire the brain leaving a person more vulnerable and susceptible to anxiety, panic attacks, and depression. Mindful Hypnotherapy is one modality for retraining the person to use stress in a calm and productive way, to utilise the buzz of adrenaline, and yet to avoid getting into the hyper stimulation of fight or flight or chronic stress. We spend a fortune on physical wellness and neglect mental wellness. One related approach is using the NLP process of anchoring – or training through Hypnosis to use Mindfulness in a constructive way. Each person is unique and so is my approach for each person. About Graham Howes: I was in Harley Street as a Hypnotherapist but am mainly in Ipswich Suffolk. I can offer onsite visits for Businesses for a wide range of bespoke interventions. I was also a Professional Actor and still Teach, Direct Theatre Shows, and Write Plays with COME DANCE WITH ME going on a National Tour soon. You can see who we've worked with near you that you might know for a reference by browsing our hierarchical portfolio directory below. For hypnotherapy, cities we serve include Alresford, Botesdale, Bramford, Brightlingsea, Capel Saint Mary, Clacton-on-Sea, Colchester, Debenham, Dovercourt, East Bergholt, Elmswell, Felixstowe, Framlingham, Frinton-on-Sea, Great Bentley, Great Horkesley, Hadleigh, Harwich, Ipswich, Kesgrave, Little Clacton, Manningtree, Mistley, Needham Market, Rowhedge, Saint Osyth, Shotley Gate, Stowmarket, Walton-on-the-Naze, Wattisham, West Mersea, Wickham Market, Wivenhoe, Woodbridge, and Woolpit.